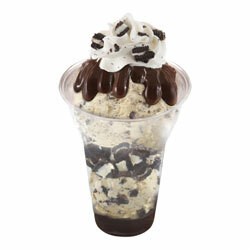 Ice cream is about much more than refreshment. It’s a special treat shared with a loved one, a delicious combination of flavours, and a little moment of happiness in every mouthful. Here in Australia, people can’t get enough of it. In fact, Australians eat around 18 litres per person each year - the third highest globally, just behind New Zealand and the US. And as one of the world’s most exciting family ice cream brands Baskin-Robbins offers the most unique, innovative and indulgent products available. For 69 years, Baskin-Robbins has been satisfying their beloved guests by creating irresistible treats and enjoyed by ice-cream lovers around the world in over 7,500 locations. We are expanding our footprint across Australia and we are seeking entrepreneurs, business owners and those who love their ice-cream and aspire to operate a Baskin-Robbins of their own as a part of a global brand and the world's leading chain of ice-cream speciality stores. 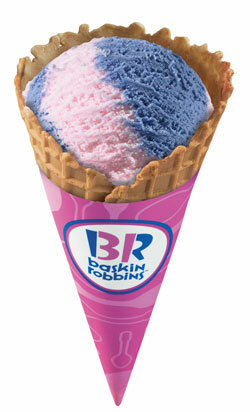 Why is Baskin-Robbins loved and enjoyed around the world? One of our unique points that makes us special is our 31 flavours – one for every day of the month – and the world famous Flavour of the Month. It’s that and a whole lot more - we aim to create a community hub for people to enjoy our delicious frozen treats in every store, every day – all year round. Over almost seven decades, Baskin-Robbins has developed a flavour library of over 1,000 flavours - with exciting new ones added regularly and of course our most popular flavours, like Pralines and Cream, World Class Chocolate, Cookies and Cream and many others. Innovation is essential in any business and in our business, we're known for innovation in our ice cream flavours. However, it's not just flavour innovation that is required to make the business successful; we have to be creative and innovative in our approach to the entire guest experience and all aspects of our business. To maintain our market leading position, we are constantly creating new ideas and testing them with focus groups and guests to determine if they will drive our business forward. While we always respect and remain true to our heritage, we are able to deliver relevance to the consumer through a contemporary brand offering. As a Baskin-Robbins Franchise Partner you will benefit from our comprehensive training programs, delivered by an accredited Baskin-Robbins trainer. The training program includes both in-store practical training and classroom training. At all times you will also have supervision and support from the Baskin-Robbins team. Great brands are strengthened by great marketing. We will assist you with the ideas, promotions and materials you need to support your position to be Australia’s first choice for indulgent ice cream and frozen treats. Across the marketing spectrum, from in-store merchandising to advertising and online marketing, we’ve got you covered. Baskin-Robbins is the world's leading chain of ice cream speciality stores and a recognised leader in the ice cream industry. With decades of experience to offer, we have the tools, knowledge and understanding of what is needed to succeed in this industry. Baskin-Robbins is looking for outstanding people with drive, passion and creativity seeking a fun and rewarding business to become Franchise Partners. We believe that people are the most important ingredient in making a business a success. We're confident that once you get to know our products and our business model you will want to scoop up your own Baskin-Robbins. If you are ready to proceed, please contact our franchise development team for an obligation-free meeting, where we can discuss your potential business future. 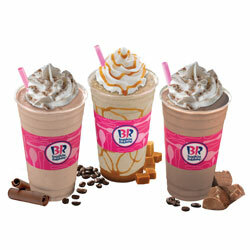 We would love to meet with you to discuss the opportunities with Baskin-Robbins. Baskin-Robbins is a truly international brand name and we have a range store designs and fit-out options to suit iconic locations, existing businesses wanting to create a second income stream, new developments and almost any space that Baskin-Robbins can deliver their world famous frozen treats to our beloved guests. If you have site that you believe may be suitable for the Baskin-Robbins business, please contact our Franchise Development team to discuss in greater detail. The cost to develop a new site range from $190,000 + GST upward, depending on the location and design for the space.